God's timing. It's always right isn't it? But it hurts sometimes. In my short twenty years of living I've come to learn this a few times. I grew up a competitive power tumbler. It was my everything. I carried a little notebook to school with me and wrote my tumbling goals in it. When I was at the gym I was happy. And when my head would hit the pillow at the end of the day I'd dream of leotards and back flips. Maybe you've heard this story if you know me very well. But as I was finishing my junior year I competed at the Power Tumbling Utah State Championships. I did the best I'd ever done and found myself with a silver medal and a score that qualified me for what would have been my fourth national championships. I had it made. Or so I thought. But at the time I truly believed I was on my way to achieving the one thing that would make me happy. Fortunately for me God knows what would really make me happy. And He knew that tumbling wasn't it. Long story short I received one of the most distinct promptings that I needed to quit tumbling. Many questioned this decision because it didn't really make much sense. And while I couldn't see what would come from this decision I decided to act anyways. I did the hardest thing I had ever done. I quit tumbling. Over three years later I look back on my life and see how much God has directed me to where I need to be. I see the blessings I received from following that one little prompting. But at the time I knew I just had to act in faith that everything would work out for my good. Even if it hurt. But while I see the blessings from that experience, I still sometimes have a hard time believing that the trials I face now really will work out. When I came home from my mission a couple months ago I met a boy. A cute boy I might add. I liked this boy a lot and we started dating. I felt like the protagonist in a Disney Channel Original movie. Again, I felt like I had it made. I felt like I was on my way to achieving the one thing that would make me happy. But I guess I still had something to learn about God's timing, and His plan because this cute boy recently told me he had been praying about our relationship and received an answer to his prayers. As he told me about the answer he had received my throat felt like it was choking as I fought the tears that were flooding to my eyes. And doesn't it often feel like this? Haven't we all looked towards the heavens and questioned why things aren't working out the way we want them to? I went for a drive tonight as the sun was setting just to think. I watched the sun set with beautiful pink colors as I talked to my Heavenly Father. I asked Him about His plan. I asked Him why things have worked out the way they have. I asked Him what I needed to learn from this. A familiar song from my phone played through my speakers. While I can't say I know how things will turn out for me and the trials I face in my life, I can say that I have faith in God's timing. I know that His plan is to make our lives beautiful. Sometimes God's creative process includes a little heartbreak here and there. But I know it's those strokes of heartbreak on the canvas of our lives that creates the contrast that allows us to see the beautiful and bright parts of our lives. Our lives just wouldn't look quite as beautiful without them. So to all my friends out there in similar situations... have faith. 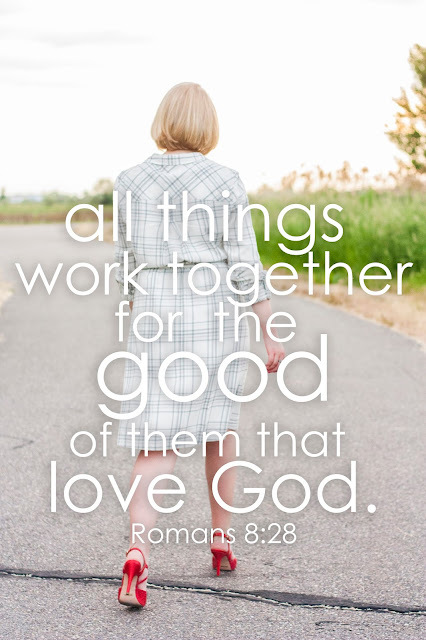 Trust that things will work together for your good as you trust Him. Because I know without a doubt that His plan is always and forever will be the best plan. I don't know if you remember me. I was the little freshman from 4 years ago who asked your advice in strengthening my testimony. I've been keeping up with your blog this whole time, grateful for the spiritual experiences you share and the strength it gave me. I could definitely feel your sunlight. I remember when you gave up tumbling. Then at the end of my junior year you left on your mission. I kinda forgot about the sacrifice you made in following that prompting. But then, toward the end of junior year, I was faced with a similar position. I received a very strong prompting that I needed to quit marching band my senior year. I loved marching band, and I was lined up to be one of the senior officers that year. But I knew what I had been told, so I quit. It was so hard, and I cried when I went to support their performances. But looking back now I am so grateful that I acted in faith on that prompting. Unexpectedly, halfway through band season, my college class got switched from a fun class about Shakespeare to a grueling, awful class taught by an extremely abrasive professor all about the 1960s. It was beyond my control, and it meant a ton of extra homework and emotional trials. If I had been in marching band too, I don't think I would've been able to stay afloat through the fall. I really do believe Heavenly Father was looking out for me. Also, because I wasn't in marching band I got to participate fully in the Philadelphia temple youth cultural celebration, temple open house volunteering, and the dedication. I'm so grateful for the experiences I had as a part of that. Anyway, that's just one small example of how I've seen the outcomes of acting on God's will. Many times we don't get to see the outcomes, and that's where faith comes in, trusting that God is preparing a better way for us. I am sorry to hear about this heartbreak in your life. It sounds like this guy was really special to you. As one who has also been through heartache, I want to tell you that it's okay to hurt. But it will get better in time. Find other things in your life that you can fall in love with--maybe starting with sunset watching with your Heavenly Father. And then throw yourself into those things that you love. Someday another guy will walk into your life, and you might not even notice him at first because your so focused on loving your own life. But he'll notice you, how much life and love and goodness you have. And then someday you'll be able to hear that answer to that prayer that you have been yearning for. Keep the faith, Whitney. You've blessed so many people, the people on your mission and your family and your friends who know there's something different about you. And your blog followers too--I think you'll be happy to hear that I am now preparing to serve a mission and I'll be at BYU this fall :) your efforts do not go unnoticed, thank you for being who you are. I wish you the most happiness and comfort and peace as you move forward from this heartbreaking answer--you're right though, the Lord does know best and His answers hold in them the promise of something better than you could ever imagine for youself! This totally made my entire day! Thank you so much for writing this to me! It just warms my heart to know that the words and stories that I write on here have made a difference in other peoples lives! That just brings me so much joy! Thank you so much for sharing your light and love with those around you! I am so excited to hear you're planning on serving a mission! That will be so awesome and I can't wait to hear where you will go! A mission is one of the best and most sacred opportunities you'll ever have in your life. I am grateful for my mission everyday. And you'll be at BYU in the fall?! That's awesome! I'll actually be down at UVU and I'll be living in Provo so maybe I'll see you sometime! Thank you so much again for your kind words! You are awesome girl.